See if you agree with Rolling Stone readers’ top-10 list of the worst ’90s bands. 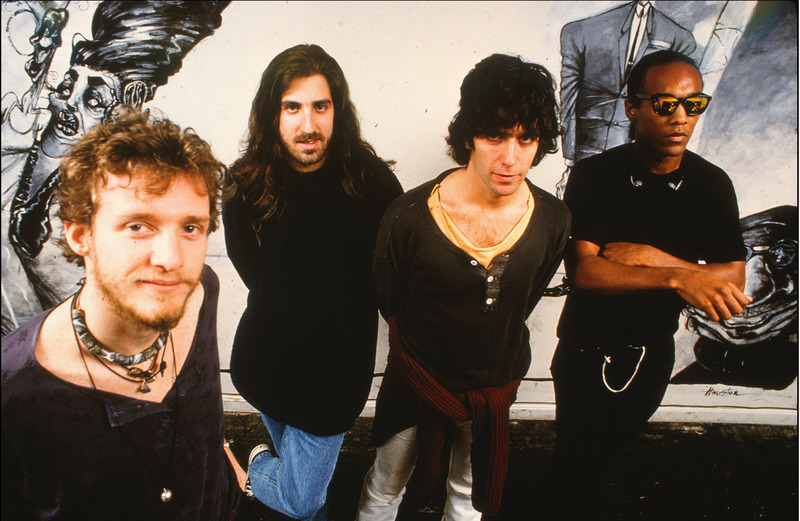 American rock band that was formed in Charlottesville, Virginia, United States, in 1991. The founding members were singer-songwriter and guitarist Dave Matthews, bassist Stefan Lessard, drummer/backing vocalist Carter Beauford and saxophonist LeRoi Moore. Boyd Tinsley was added to the band as a violinist soon after the band was formed. Moore died suddenly in August 2008 due to complications from injuries sustained in an ATV accident. GRAMMY Award-winner Jeff Coffin of Béla Fleck and the Flecktones has since filled Moore's spot as the band's saxophonist. Rashawn Ross and Tim Reynolds have also become full-time touring members of the band. The band's 2009 album Big Whiskey and the GrooGrux King (the first album since Moore's death) debuted at number one on the Billboard 200, earning the band their fifth consecutive number-one debut— making them the second band behind Metallica to do so. Their most recent album, Away from the World, was released in 2012, and also debuted at number one on the Billboard chart. 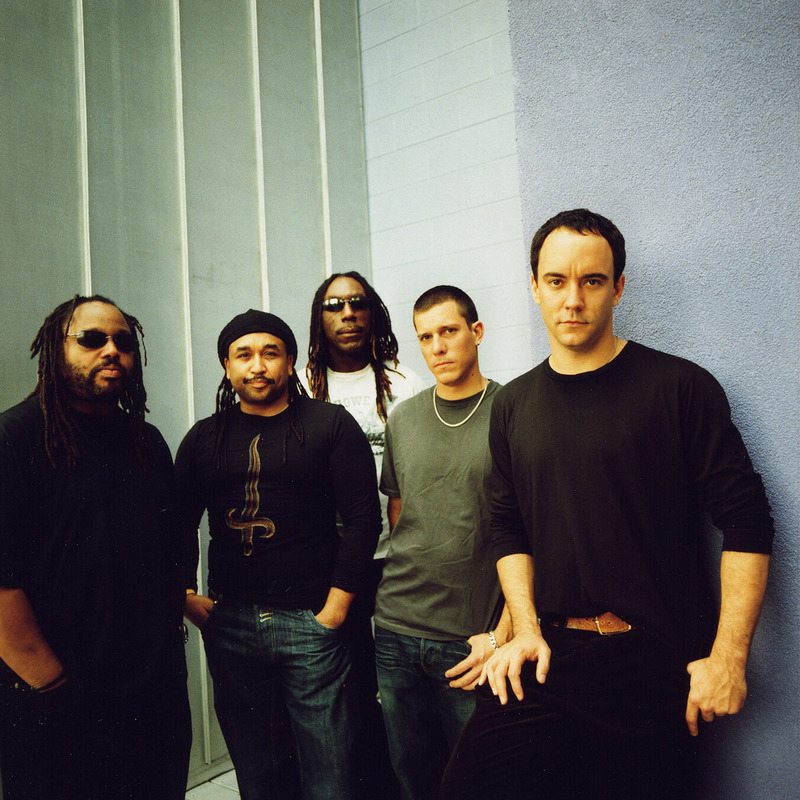 As of 2010, the Dave Matthews Band has sold over 30 million records worldwide. 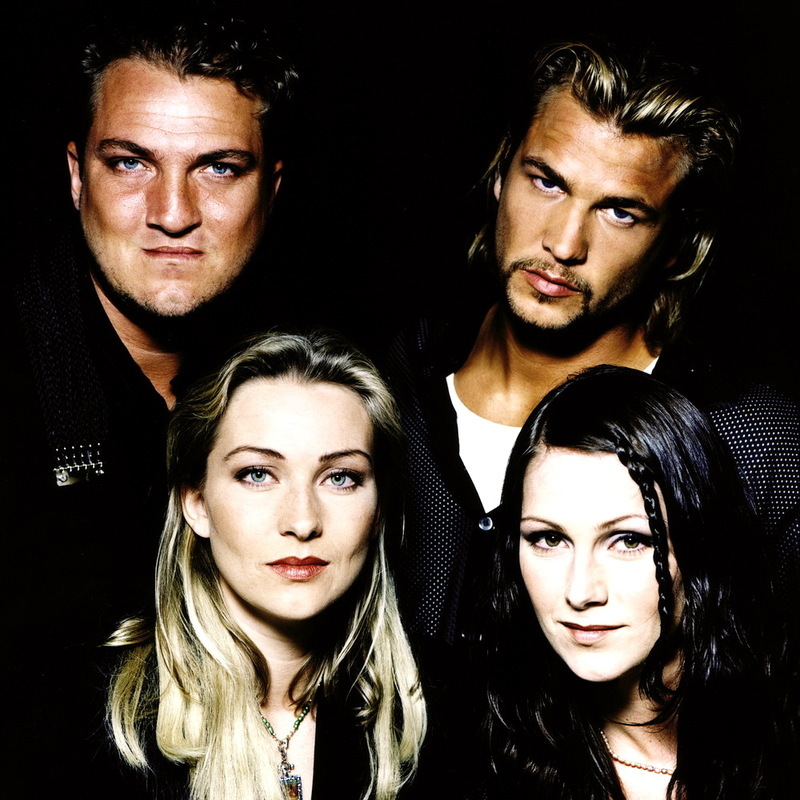 Swedish pop group, originally consisting of Ulf "Buddha" Ekberg and three siblings, Jonas "Joker" Berggren, Malin "Linn" Berggren and Jenny Berggren. They released four studio albums between 1993 and 2002, which sold over 30 million copies worldwide. This makes them the third-most successful band from Sweden of all time, after ABBA and Roxette. Happy Nation / The Sign is one of the best-selling debut albums of all time, and was certified nine times platinum in the United States. It was the first debut album to produce three number 1 singles on the Billboard Mainstream Top 40 chart: "All That She Wants", "The Sign" and "Don't Turn Around". Following the formal departure of singer Linn in 2007, the band performed a series of concerts as a trio in Europe and Asia from 2007 through 2009, before Jenny revealed in November 2009 that she would be taking indefinite leave from the band to focus on her own solo career.Jonas and Ulf have since recruited two new female vocalists, Clara Hagman and Julia Williamson. The new line-up released The Golden Ratio in September 2010. American alternative rock band formed in New York City, best known for their early 1990s hits, "Two Princes", and "Little Miss Can't Be Wrong", which peaked on the Billboard Hot 100 chart at No. 7 and No. 17 respectively. The current members are Chris Barron (vocals), Eric Schenkman (guitar and vocals), Aaron Comess (drums and percussion), and Mark White (bass guitar). 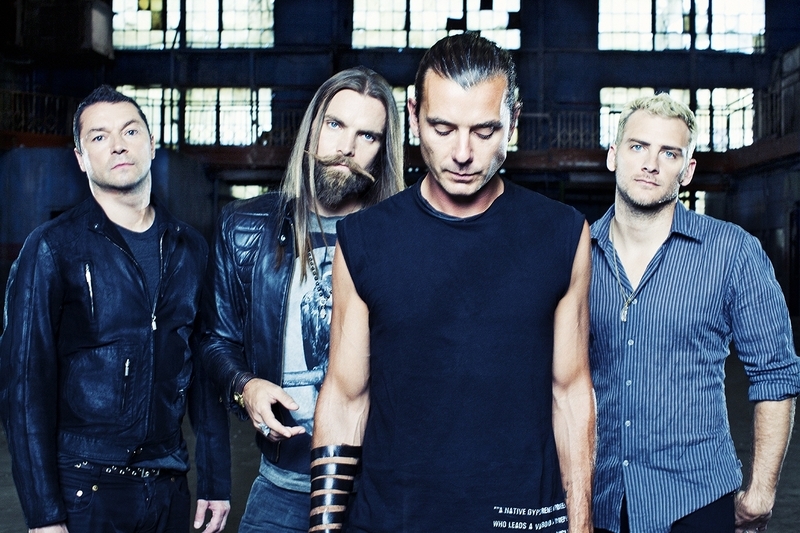 British rock band formed in London in 1992 shortly after vocalist/guitarist Gavin Rossdale and guitarist Nigel Pulsford met. It was not long before they recruited bassist Dave Parsons, and later drummer Robin Goodridge, and started writing. Dave Parsons joined Bush shortly after leaving the band Transvision Vamp. Drummers such as Sacha Gervasi, Amir, and Spencer Cobrin had all filled in as Bush drummers before Robin Goodridge was made the permanent fit and thus completing the Bush lineup. 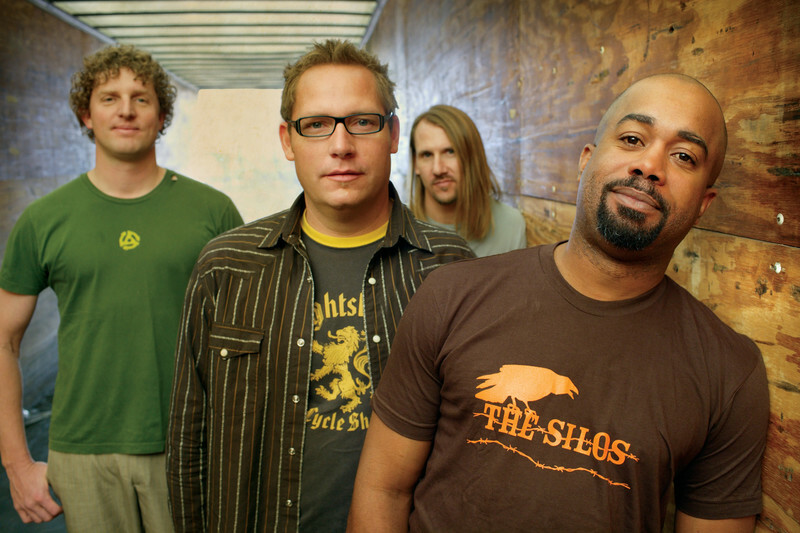 American rock band that formed in 1986 at the University of South Carolina by Darius Rucker, Dean Felber, Jim Sonefeld, and Mark Bryan. As of July 2010, the band had charted sixteen singles on various Billboard singles charts and recorded five studio albums; and their 1994 debut album, Cracked Rear View, was the 16th-best-selling album of all time in the US, having been certified platinum 16 times. The group was especially popular in Canada, having three number-one singles in the country. American rock band that was formed by singer/guitarist Kurt Cobain and bassist Krist Novoselic in Aberdeen, Washington in 1987. Nirvana went through a succession of drummers, the longest-lasting being Dave Grohl, who joined the band in 1990. In the late 1980s Nirvana established itself as part of the Seattle grunge scene, releasing its first album Bleach for the independent record label Sub Pop in 1989. The band eventually came to develop a sound that relied on dynamic contrasts, often between quiet verses and loud, heavy choruses. After signing to major label DGC Records, Nirvana found unexpected success with "Smells Like Teen Spirit", the first single from the band's second album Nevermind (1991). Nirvana's sudden success widely popularized alternative rock as a whole, and the band's frontman Cobain found himself referred to in the media as the "spokesman of a generation", with Nirvana being considered the "flagship band" of Generation X.Nirvana's third studio album, In Utero (1993), featured an abrasive, less-mainstream sound and challenged the group's audience. The album did not match the sales figures of Nevermind but was still a critical and commercial success. 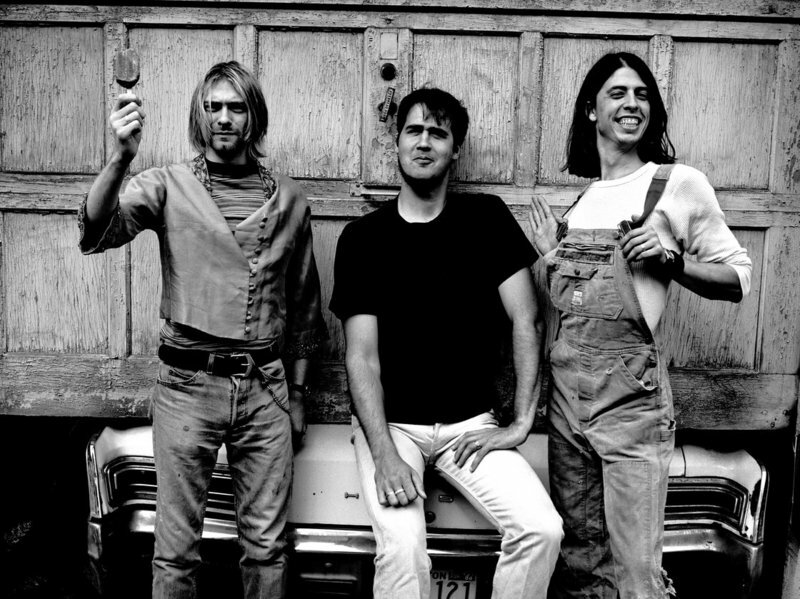 Nirvana's brief run ended following the death of Kurt Cobain in 1994, but various posthumous releases have been issued since, overseen by Novoselic, Grohl, and Cobain's widow Courtney Love. Since its debut, the band has sold over 25 million records in the United States alone, and over 75 million records worldwide. American pop-rock band from Tulsa, Oklahoma formed by brothers Isaac (guitar, piano, vocals), Taylor (keyboards, piano, guitar, drums, vocals), and Zac Hanson (drums, piano, guitar, vocals). 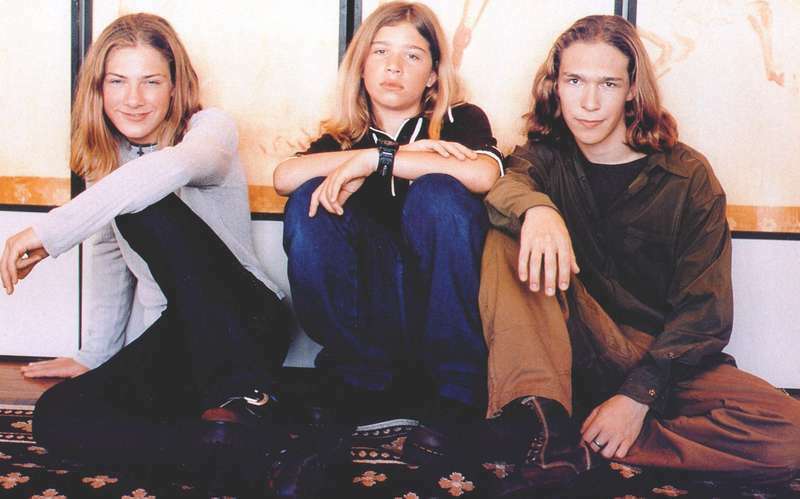 They are best known for the 1997 hit song "MMMBop" from their major label debut album Middle of Nowhere, which earned three Grammy nominations. Despite the enormous commercial success of Middle of Nowhere, the band suffered from the merger that eliminated their label, Mercury Records. The group was moved to Island Def Jam Music Group, which they eventually left after conflict with the label about creative input. Hanson has sold over 16 million records worldwide and have had eight top 40 singles in the UK and six top 40 singles in the US. The band now records under its own label, 3CG Records. American nu metal band. 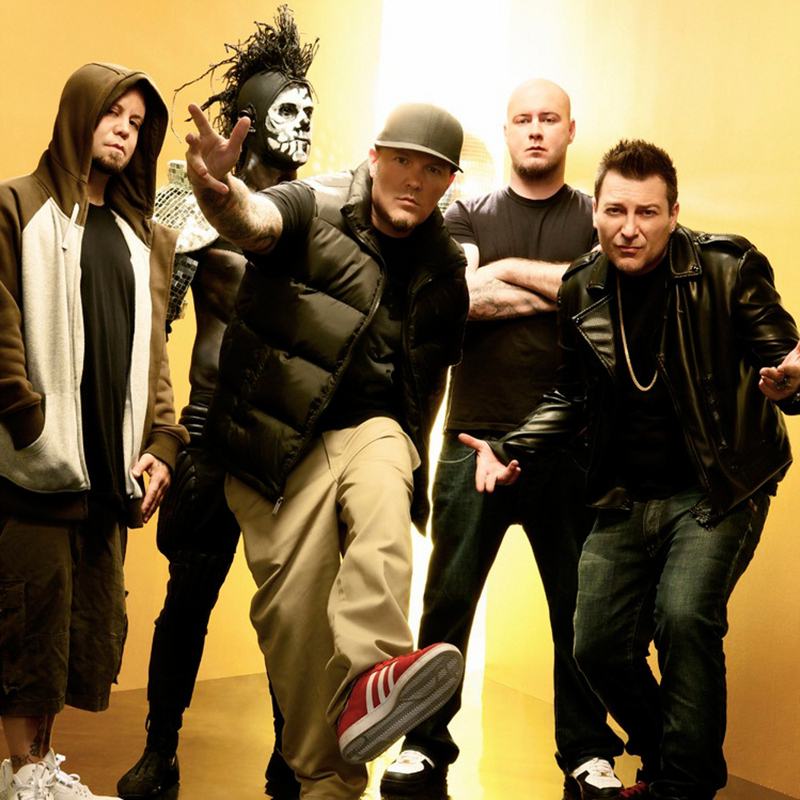 Its original lineup consisted of Fred Durst (vocals), Wes Borland (guitars), Sam Rivers (bass), John Otto (drums) and DJ Lethal (turntables, samples and programming). Their work is marked by Durst's abrasive, angry lyrics and Borland's sonic experimentation and elaborate visual appearance, which includes face and body paint, masks and uniforms, as well as the band's elaborate live shows. The band has been nominated for 3 Grammy Awards and have sold around 40 million records worldwide. Formed in 1994, Limp Bizkit became popular playing in the Jacksonville, Florida underground music scene in the late 1990s, and signed with Flip Records, a subsidiary of Interscope, which released their début album, Three Dollar Bill, Yall$ (1997). The band achieved mainstream success with their second and third studio albums, Significant Other (1999) and Chocolate Starfish and the Hot Dog Flavored Water (2000), although this success was marred by a series of controversies surrounding their performances at Woodstock '99 and the 2001 Big Day Out festival. Borland left the group in 2001, but Durst, Rivers, Otto and Lethal continued to record and tour with guitarist Mike Smith. Following the release of their album, Results May Vary (2003), Borland rejoined the band and recorded The Unquestionable Truth (Part 1) (2005) with Durst, Rivers, Lethal and drummer Sammy Siegler before entering a hiatus. In 2009, the band's original lineup reunited and began touring, culminating with the recording of the album Gold Cobra (2011), after which they left Interscope and later signed with Cash Money Records, but DJ Lethal was asked to leave the band soon after. They are currently recording their seventh studio album, Stampede of the Disco Elephants. Canadian rock band formed in 1995 in Hanna, Alberta. The band is composed of lead guitarist and lead vocalist Chad Kroeger, rhythm guitarist, keyboardist and backing vocalist Ryan Peake, bassist Mike Kroeger, and drummer Daniel Adair. The band went through a number of configurations between 1995 and 2005, achieving its current form when Adair replaced drummer Ryan Vikedal. 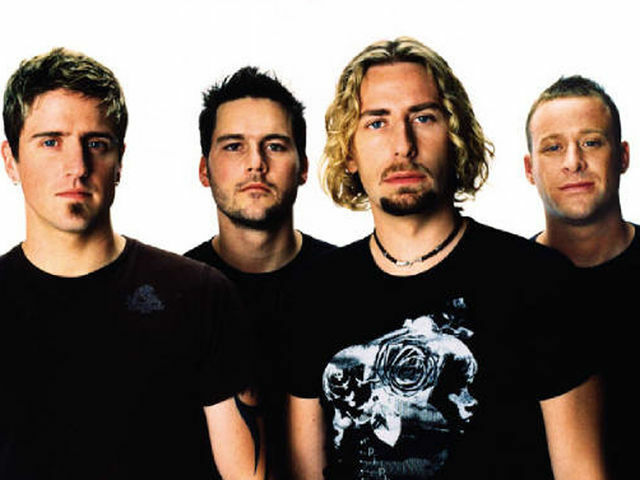 Nickelback is one of the most commercially successful Canadian groups, having sold more than 50 million albums worldwide[ and ranking as the eleventh best-selling music act, and the second best-selling foreign act in the U.S. behind the Beatles, of the 2000s. Billboard ranks them the top rock group of the decade, and their hit song "How You Remind Me" was listed as the top rock song of the decade and the fourth song of the decade. They were listed number seven on the Billboard top artist of the decade, with four albums listed on the Billboard top albums of the decade. The band signed with Roadrunner Records in 1999 and re-released their once-independent album The State.The band achieved commercial success with the release of their 2000 album The State and then they achieved mainstream success with the release of their 2001 album Silver Side Up.Following the release of Silver Side Up the band released their biggest and most known hit today, "How You Remind Me" which peaked number 1 on the American and Canadian charts at the same time.Then, the band's 4th album The Long Road spawned 5 singles and continued the band's mainstream success with their hit single "Someday" which peaked at number 7 on the Billboard Hot 100 and number 1 at the Canadian Singles Chart. Afterwards, the band put out their biggest album to date, All The Right Reasons which produced 3 top 10 singles and 5 top 20 singles, on the Billboard Hot 100 example of songs like "Photograph", "Far Away", and "Rockstar". The band's Dark Horse album was a success which produced eight singles, one of which peaked on the top 10 on the Billboard Hot 100 and two of which peaked on the top 20 on the Billboard Hot 100. In 2011, Nickelback released their latest studio album, Here and Now which again topped the charts,] with a supporting tour that began in April 2012. The band has won numerous awards and they have won 12 Juno Awards among 28 nominations.The band is based in Vancouver, Canada. The band's original domestic signing was with EMI Canada. They subsequently obtained an American deal with global distribution via Roadrunner Records. For the release of their seventh album, the band parted from EMI Canada and signed a new Canadian domestic distribution deal with Universal Music Canada. American rock band, formed in 1995 in Tallahassee, Florida. 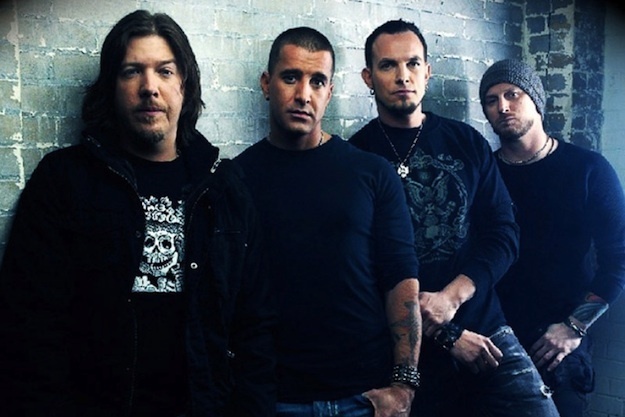 The band consists of lead vocalist Scott Stapp, guitarist and vocalist Mark Tremonti, bassist Brian Marshall and drummer Scott Phillips. Creed released two studio albums, My Own Prison in 1997 and Human Clay in 1999, before Marshall left the band in 2000 to be replaced by touring bassist Brett Hestla. The band's third record, Weathered, was released in 2001 with Mark Tremonti handling bass before the band disbanded in 2004 due to increasing tension between members. Tremonti, Phillips and Marshall went on to found Alter Bridge while Stapp followed a solo career. After years of speculation, Creed reunited in 2009 for a tour and new album called Full Circle, and in early 2012 the band reconvened to tour and work on a fifth album. Becoming popular in the late 1990s and early 2000s, the band released three consecutive multi-platinum albums, one of which has been certified diamond and has sold over 28 million records in the United States, and over 40 million albums worldwide,becoming the ninth best-selling artist of the 2000s.Creed is often recognized as one of the prominent acts of the post-grunge movement of the late 1990s and early 2000s and is one of the most commercially successful rock bands of all time. Billboard ranked Creed as the 18th best artist of the 2000s. So do you agree ? Tell us in the comments below.